Earlier this month, Indy Connect hosted a set of open houses focusing on the next rapid transit corridor up for study; the Purple line. Currently, studies regarding the Purple line are at the Alternative Analysis stage. In this stage planners are evaluating route and vehicle alternatives along with station locations and operating features. The line will run east to west, presumably from Lawrence to Eagle Creek. With those two key destinations in mind, planners are deciding between running the line via 38th street or 30th street. The 38th street corridor seems like the more obvious choice of the two because it is currently one of the most highly traveled corridors in the city. Also, one might note that it has more key destinations and more transit-oriented development potential than 30th street. Much of East 30th street is composed of large industrial complexes. While West 30th street may have the Children’s Museum and a few other commercial nodes, the amount of TOD potential along West 38th street with Lafayette Square Mall and the fact that 38th street extends beyond Moller Road to Eagle Creek, while 30th street becomes more residential at that point and splits up, makes 38th street the better option of the two. Transit on East 38th street particularly is already at capacity with Indy Go route 39 being one of three “high-frequency” routes running at 20 minute intervals on weekdays. 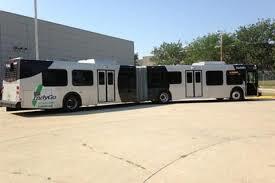 It is also one of two routes using 60 ft articulated buses, which were re-added to Indy Go’s fleet last year. If the line is placed predominately on 38th street, the next step in the analysis is to determine if the route should take the same alignment as Indy Go route 4 and veer from East 38th to 42nd and 46th streets to Lawrence. This does not seem like the best route because while that route would hit the Meadows, Devington Plaza, and 46th/Shadeland, the next commercial area to reach would be the terminus at Fort Harrison. Areas experiencing high pedestrian traffic like 38th and Emerson/Arlington/Post Road would be left out. Also, following Indy Go route 4 would take the route onto the interstate via the Shadeland expressway. The route could take Franklin Road instead of the Shadeland expressway, however, there is currently no public transportation on Franklin Road north of 42nd street. Therefore, there is less predictive value of how well ridership will do in that area. Vehicle choice is just as important as route choice when developing a rapid transit line. To comply with federal standards, Indy Connect is evaluating light rail transit and streetcar for the route in addition to bus rapid transit. An alternative must be evaluated even though the Indiana state legislature has prohibited these options as stated in this year’s passage of SEA 176, which prohibits an eligible county from using funds to create a “light rail project” (pg. 36). The bill specifies taxpayer funds cannot be used to create a light rail project. However, there is nothing stopping a group of corporations from pulling their resources together to fund a project. Though, this has not happened as of yet. The Purple line is the first line for which streetcar is being considered. Even though streetcars tend to be more flexible than light rail vehicles, for either of those methods, having a straight route via 38th street seems like the better choice. Also, from Fall Creek to Eagle Creek Parkway, 38th street becomes three lanes in both directions. It appears that accommodating a center, transit only lane would be easier on this portion of the route. This gets a little tricky between Cold Springs Road and Industrial Blvd where 38th street becomes part of the I-65 interchange. However, the route could turn left down Cold Springs Road jog across 30th street and turn right onto Lafayette Road back to West 38th street. 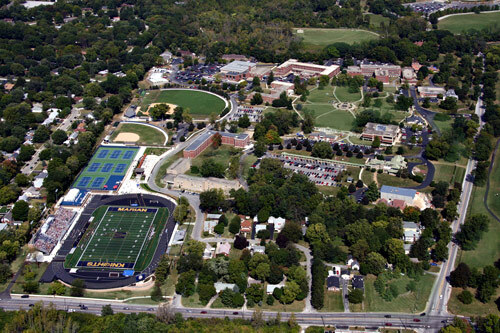 This would provide direct access around Marian University; though, the remainder of 30th street is highly residential. Regardless, this option appears better than crossing over the interstate. 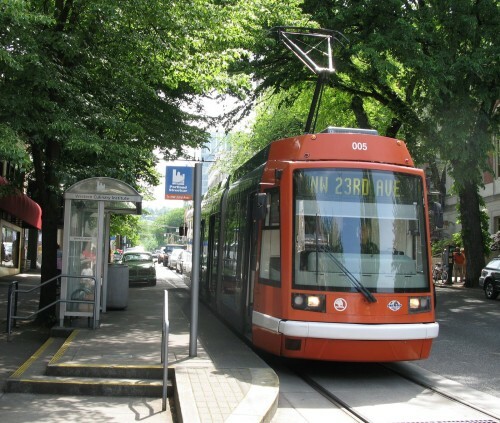 Use of a streetcar or bus rapid transit seems like a better fit instead of light rail because of the ability to go from a dedicated right of way to intermingling with on street traffic. Obviously a dedicated right of way is not an option when it conflicts with people getting in and out of their driveway. Transit planners have a large task ahead of them when finalizing the best options for the Purple line. Using 38th street will provide access to key thoroughfares such as Lafayette road, Georgetown, Meridian Street, Emerson Avenue, Franklin road and Post road, while hitting key destinations like Eagle Creek, the IMA, the fairgrounds, Meadows, and Lawrence. Vehicle use must match the area while being beneficial for residents and businesses as well. It will be interesting to see the direction Indy Connect leaders decide to take with the Purple line. Following the #4 route would be a non-starter. That route exists at its east end mainly to serve Lawrence Central HS and the apartments at I-465 (hence the Shadeland leg), the Defense Finance and Accounting Center, and Ivy Tech. As you point out, it skips over a dense single-family area along Franklin Road north of Pendleton Pike. And it skips Pendleton Pike entirely; that is a huge linear employment center for low-moderate wage jobs that are not currently transit-accessible. Routing the east end of the Purple line is going to come down to a choice of serving low-income folks where they live (apartments along 38th) or bending the route northeast on the Pike to where people work (low-moderate wage jobs along Pendleton Pike, including fast-food, grocery, Walmart, Kohl’s, and scores of smaller retail shops and restaurants) and live (apartments and mobile home parks on or hear the Pike). “Problems” associated with choosing the Pike could be minimized by tweaking some better north-south regular-bus connections on the east side: extend the #87 line up to Pendleton Pike, and route the existing #4 north on Pendleton and Franklin instead of Shadeland. This is the danger of looking at a single route in isolation, and of relying too heavily on existing ridership data instead of looking seriously at what would be trip generators. BRT doesn’t exist yet in Indy, and may or may not convert existing route riders and “choice” riders. Until there is some experience with other lines, this is a guessing game. Considering the subject, it is fair for me to issue a disclaimer: I work for the Lawrence Community Development Corporation, with a focus on improving southwest Lawrence, including Franklin Road and Pendleton Pike. So I am pretty familiar with strengths and weaknesses there. Density is a strength…the highest-density census tracts outside 465, higher than some areas inside the loop. Entry-level jobs that no one can get to are a weakness. People who can’t get to entry-level jobs without a car are a weakness. Better transit (both city bus and BRT) that would connect these two would turn weaknesses into strengths. 1)The Purple line should go from Eagle Creek to Post Road via 38th street, then go north on Post and have a final terminus somewhere near 56th and Post. There are two mini plazas up there with restaurants, CVS, and open retail space next to PNC bank. 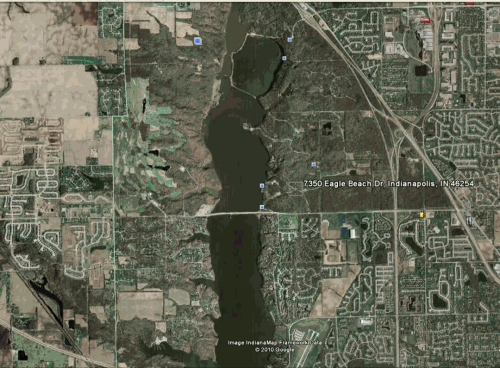 Therefore, placing the terminus on the southern portion or northern portion of that intersection would be fine. 2)In the Indy Connect bus frequency map, there’s a crosstown route along 56th street and Kessler Blvd. I think creating this route would be a good idea, however, it should extend to 56th and Pendleton Pike, then head north on Pendleton Pike to Oaklandon Commons. This picks up a majority of the big name businesses that you mentioned. 3) Route 39 should be rerouted at the intersection of 38th and Mass Ave and go north on Mass Ave to Pendleton Pike. Then turn right down Franklin Road and make a loop from 38th/Franklin to 38th/Mitthoefer to 42nd/Mitthoefer to 42nd/Franklin and back up to Franklin/Pendleton Pike, then go back south down Mass Ave to 38th street. I think this would work because the stretch of 38th street between Mass Ave and Franklin would be covered by the Purple line. Stops at 38th/Shadeland and 38th/Franklin should be sufficient for the residents who live between there. This way, the 39 is able to reach other restaurants and businesses along that portion of Mass Ave/Pendleton Pike. 4) Route 4 should be rerouted from Shadeland and continue on E. 46th street to Franklin Road. Then the route should go down Franklin and turn left to go north on Pendleton Pike. This allows the 4 to reach businesses and residents between Franklin/Pendleton Pike and 56th/Pendleton Pike. The terminus could be somewhere around 56th and Mitthoefer, perhaps set up like a mini sub-station for transfers to the 56-crosstown I mentioned in the previous point. 5) Finally, route 87 should go up to 46th street, since 42nd street is covered by route 39. From there its new circulation would be Post, to Washington Street, up Mitthoefer, across 46th and back to Post Road. Explain to me again why I would vote yes to a referendum that’s main purpose is to exclude and reduce any other options or forms of mass transit beside roads. 1) Enhancing the current transit options is a must if the city wants to remain competitive among its peers, like Kansas City, MO. 2) Bus rapid transit can be just as much as a catalyst for economic development as light rail transit can be , when done correctly, like in Cleveland, OH. 3) Just because the bill bans light rail now does not mean the bill will remain this way in the future, as was the case in Los Angeles, CA. Also, only light rail is prohibited. The option for heavy rail or commuter rail is still there by definition. Well, GB, a road with sidewalks can be used at the same time by pedestrians, bicycles, cars, trucks, and buses, on schedules of their own choosing. A dedicated rail line can only carry people on trains when the train authority is running a train. Which one is more flexible and gives you (and your UPS delivery, and your favorite restaurant’s wholesale truck) more options for delivering people and things efficiently? I hope that this study will prompt some serious consideration to safely accommodating pedestrians and bicyclists along that 2-mile stretch of 38th Street that is adjacent to I-65. With the way that section is configured, is that even possible? It’s not like being on west 38th street where the I-465 ramps are off to the right hand side and there’s some big guarded pedestrian median. 38th street essentially becomes part of the interstate. Maybe they could form a pedestrian bridge that goes over the Guion Rd and Kessler Blvd exits and connects Industrial Blvd to Cold Springs Rd. There must be enough room at the north and south edges of the 38th/Interstate ROW for 10′ wide multi-use paths…which would connect to the neighborhoods, the Velodrome, Cold Spring School, White River Trail, Canal Trail, and 100 Acres, as well as to (future) sidewalks on Kessler and Guion. Then maybe an alteration to the 38th St. White River twin bridges to cantilever the trail outside the current guardrail, as is being done over Fall Creek at 56th.